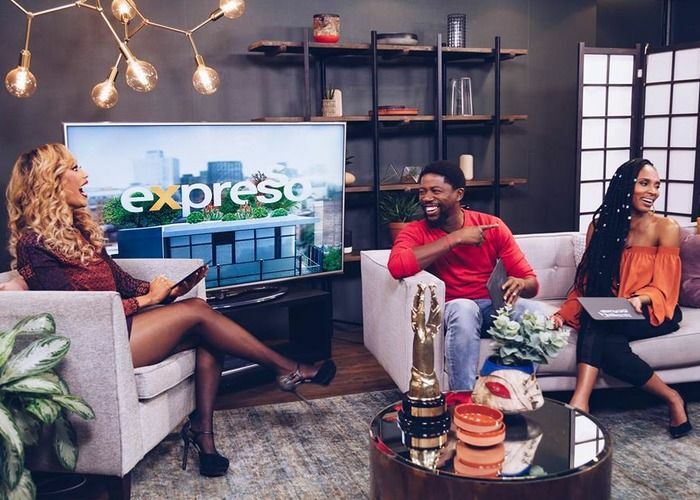 We were recently joined by Atandwa Kani and Altovise Lawrence, who star in the new rom com, Love By Chance, which opened here in cinemas on Friday 6 May 2017. The two spent the morning with our presenters, doing everything from interviews to cooking. The film sees a crossover between our South African and American film industries, with both South African and American actors, such as our Nicholas Nkuna and Denise Zimba alongside American actors Terri J. Vaughn, Desi Banks and Ja’el Robeson and is directed by USA based Samed Davis. The film is about two South Africans who meet by accident (or chance, if you want to be corny about it), in America, while both are pursing careers in the Entertainment industry in Atlanta. Unfortunately as with many couples who work in the same industry, one starts getting jealous of the other resulting in a lot of fighting. The actors chemistry in our studio alone, is enough to make you go watch the film and see more of them on screen together.